The Plugin allow you to insert rel=nofollow to all .google. websites inside your wordpress posts. Allow you to insert a rel=”nofollow” going to all Google websites. 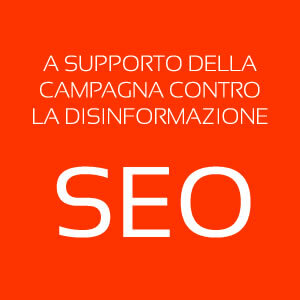 This is the cosequence of the Patetic politcs and propaganda that the Anti-SPAM team @Google started some times ago. When they first introduce the rel=nofollow they create a vague idea of what it was intended for, but then it became a stupid way to destroy the web. Websites start using the nofollow by default and lots of other website start abusing it. The fact that one must specify a particular markup to indicate a link tranform it immediately in an Unnatural Link. I manage lots of big website and for all of them I received Absurd “Unnatural Link warning” even if I never made link building and I received those links only for real merit. If the warnings I receive are true, then probably the 60% of all the links in the world are Unnatural. Google you are Ridicuolos! Remove No-Brain People from your staff. Upload the ‘nofollow-google’ folder in ‘wp-contents/plugins’. 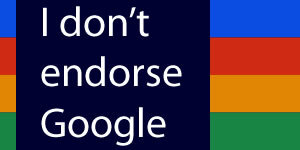 Activate I don’t endorse Google.